Stan Lee and Nathan Fillion were honored with the top prizes at the inaugural Geekie Awards. The Geekie Awards, held Sunday evening at Hollywood's Avalon club, recognizes independent creators, artists and filmmakers in the geek world and was created by Kristen Nedopak. Lee received the lifetime achievement award, which was presented by Seth Green. 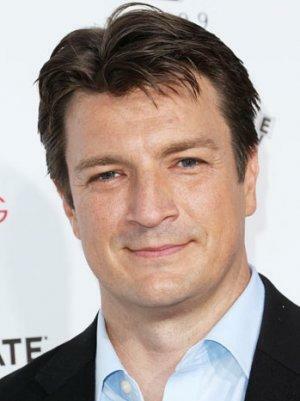 Fillion was honored with the Geek of the Year award, presented by Samm Levine, Natasha Melnick and Sarah Hagan. Jesse Heiman accepted the award on Fillion's behalf, giving his best impression of the actor. (Fillion was not present at the awards show.) Additionally, NASA's JPL Mars Curiosity Rover team was honored with the Geek Cred award by Marc Evan Jackson (The Thrilling Adventure Hour). Alison Haislip emceed the live stream, while Tara Platt served as the main announcer for the Geekie Awards. Presenters included Magda Apanowicz, Ralph Garman, Tim Jo, Richard Hatch, Grant Imahara, Kevin Shinick, Andrew Bowe, Keahu Kahuanui, Clare Kramer, Miracle Laurie, Chase Masterson, Chris Gore, Mark Christopher Lawrence, the Winner Twins, Ashley Esqueda, Bonnie Burton, Jenna Busch and Stephanie Thorpe. Performances by Iron Shield Arms, LEAGUE of Steam, Andrew Meadows and George Shaw also took place.